Our adoption story starts back in 2007. God led me to the website of an organization called Blessing the Children International to sponsor a little girl named Genet. In one of the newsletters that they sent me it talked about going to Ethiopia on a mission trip, and I heard God telling me to go. “Go?” I asked, but I have never even been on a mission’s trip let alone out of the country before – even more scary, on my own. But God persisted and I went, not sure why I was going other than to minister to kids and meet our sponsor child. While I was there in February of 2008, I met this precious little girl, Haben, and her young cousin Lidiya. They stole my heart. God told me to pray for them every day and so I did, not sure why again but who wants to argue with God? While we were there we went to an outreach church at Green Lake. When asked what their greatest needs were, Pastor Berhuna said clean water and good roads. I heard God saying clear as day, “This is why I brought you here, to bring these people clean water”. You see, our home church works with a group that made clean water units to take to areas like this to make their water safe. So I returned home to plan my second trip to Ethiopia in 2010 to bring the water units, still praying for Haben and Lidiya’s protection every day. I took my daughter and a group from my home church the second time and we brought 7 water units with us to take to the places that so desperately needed them. While we were there we had two girls from the foster home come stay with us, Lidiya and Chu Chu. And I fell in love with them, but especially with Lidiya. It broke my heart to have to leave her, but I could not just pack her in my bag and take her home, it is not that easy. I knew in my heart God wanted me to bring her home to be our daughter, but my husband was not so sure. We started sponsoring Chu Chu and praying about adopting Lidiya. In December of 2010, God helped my husband to see that we should adopt Lidiya, and so we started down the journey toward adoption. Now, how to go about it? We spoke to a friend who had also adopted a child associated with BCI and God led us to an agency out of Florida, who said they would look into seeing if they could help us. With the help of BCI staff, especially Nigist (Lidiya’s social worker) and Mussie (BCI’s Ethiopian Director of Teams) we were able to get the paperwork needed to get Lidiya to the places she needed to be in order for us to bring her home. Our journey has taken us 16 months to bring Lidiya home. We are so blessed to have her and I praise God every day that he had brought us to BCI and to Lidiya for I do not know what we would do without her as part of our family. And as for Lidiya’s cousin, Haben? Well, she is our newest sponsor child, a way to keep Lidiya and Haben connected even though many miles keep them apart. So what is that still small voice telling you to do today? Bereje in his cart with his new horse! Yeshak and Yakob Bereje, two young brothers in the BCI sponsorship program, live with their mother, Almas and father, Bereje. Both parents are HIV positive and struggle to support their sons. Although neither parent complains of being sick, they are often tired and worn out. The boys’ father, Bereje, was working on his church compound as a farmer but the church had to take the land back, leaving Bereje no means to support his family. After this happened, Bereje knew he needed to do something to provide for his family. He applied for a loan from the government so he could purchase his own horse and cart, which would allow him to make a living transporting people, without having to worry about it being taken away at a moment’s notice. Bereje was doing well and paying back his loan to the government until his horse got sick and died of unknown causes. This was a devastating blow for the family. 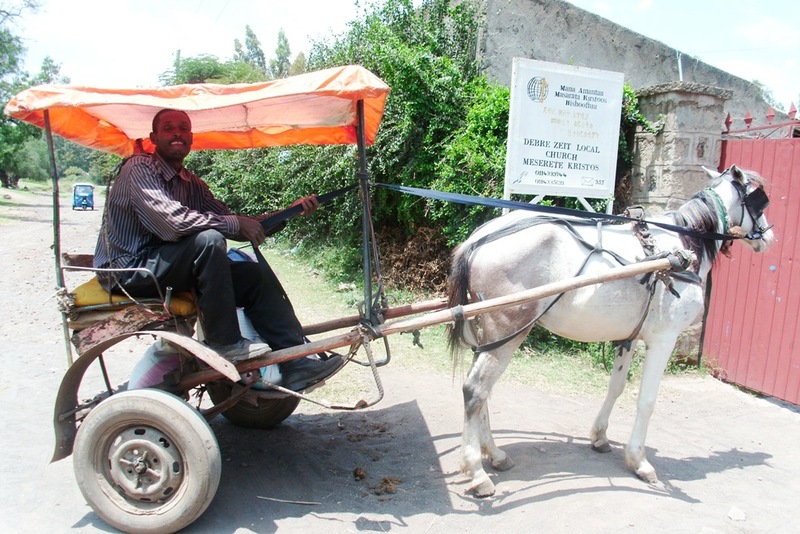 The horse and cart being their only source of income, Bereje had no way to support his family or pay back his loan to the government. A visiting missionary family heard Bereje’s story and felt led to purchase a new horse for Bereje, costing around $180 USD. This huge blessing allowed Bereje to continue his business, support his family and pay back his loan. Bereje and his family are doing well and praising God for his faithfulness. Her God always shows up…. 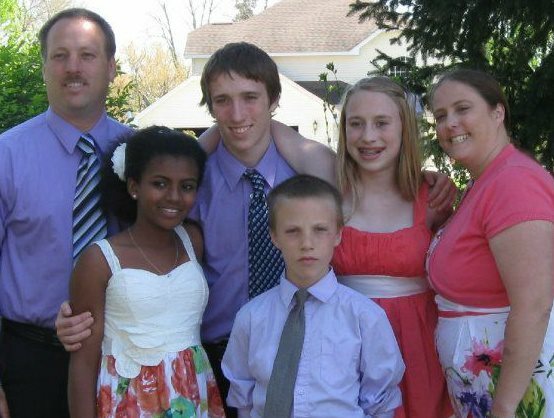 In one day Yebsira Girma’s life changed forever. She just finished eating dinner with her family and then it happened. She had a grand mal seizure. Her mom, Yesunesh, didn’t know what to do. She had never seen a seizure before. Yebsira’s mom, brother, and sister were able to carry her to the clinic that is approximately one-half of a mile from her home. The doctor gave Yebsira medicine to stop her seizure. When she woke up and saw her mom’s worried face she started to cry. She was just an eleven year old girl who had no idea what happened to her. All she knew is she woke up to see her mother crying and praying over her. Three years later, Yebsira is a very sweet, fun sixth-grader. Yebsira has been through many struggles these past three years. After her first grand mal seizure she went through many tests. The doctors were not able to find a cause of her seizures but they did find something. They found a heart condition. Yebsira has a hole in her heart that causes the blood to back up in her heart before it flows through her arteries. Other than making her tired, her heart condition does not cause her any problems right now so the doctors are only monitoring this condition for any change. Yebsira’s mother was overwhelmed with not only one diagnosis for her young daughter, but two. Yesunesh is unable to work because she cares for her father who is very old and can not do anything for himself. Yesunesh moved her three small children into her parents’ home when her husband died ten years ago. Yesunesh kept asking God “how can I provide the care for Yebsira that she needs?”. Yesunesh’s situation may look bleak to some but she knows that God will not forsake her and her family. Yebsira’s life is precious and Yesunesh believes that God will provide for all of their needs. Yebsira has had to have specialized care over the past three years. Her seizures were getting out of control and there seemed to be no end in sight. Yebsira wasn’t just having one seizure here or there, she was having as many as six in one day. The average number she would have in one day was four and then three or four days later she would have approximately four more seizures in the same day. The seizures were beginning to take a toll on her young body. She was having intense headaches, memory troubles, and muscle spasms. 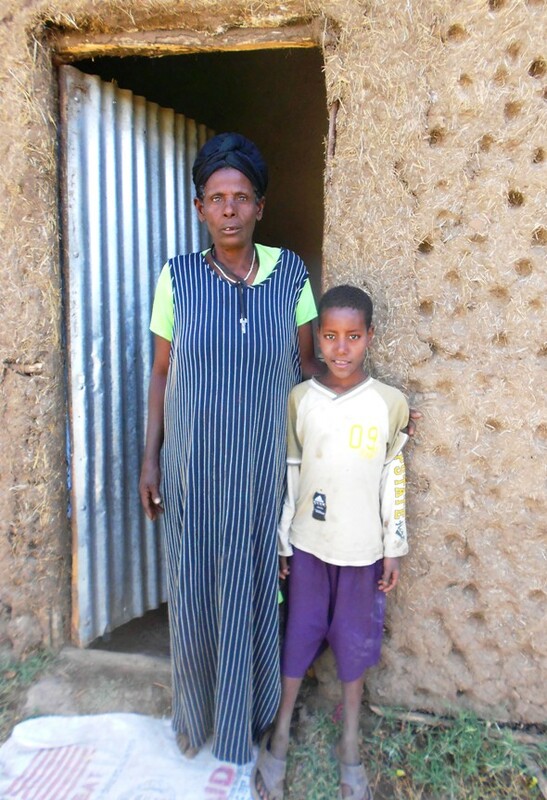 Yebsira’s mother was desperate to find help for her daughter. Before her seizures started, Yebsira was admitted into the Blessing the Children (BCI) program in 2008. 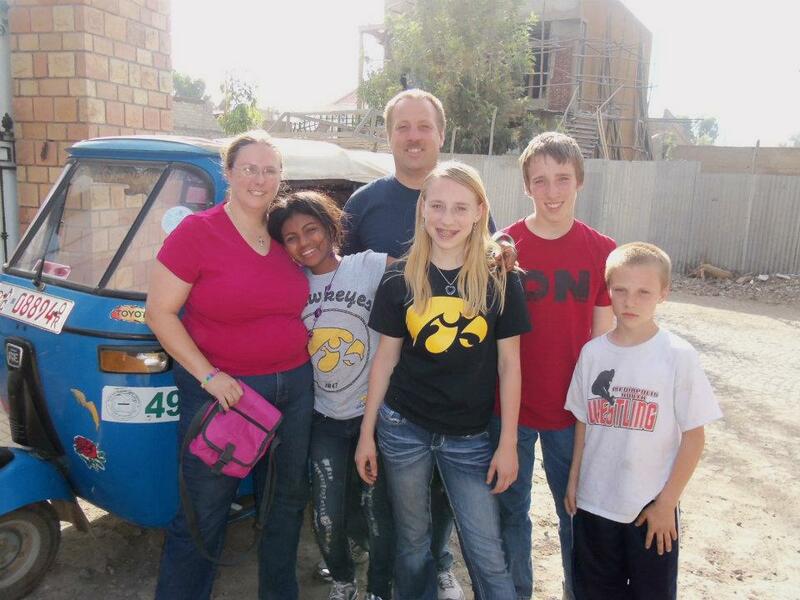 After her seizures started missionaries began to ask how they could help Yebsira and her family. 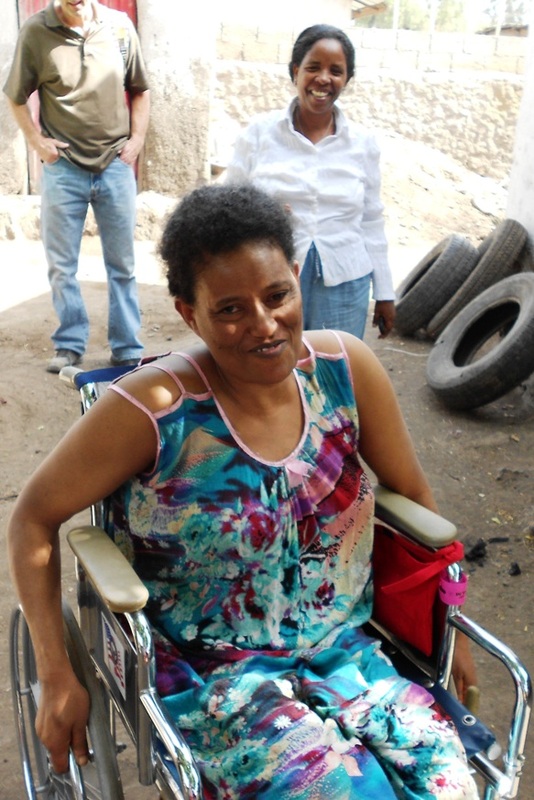 Over the years, missionaries have helped to pay some of Yebsira’s medical and drug expenses. But even with all the help from the doctors and missionaries Yebsira’s condition started to fail. 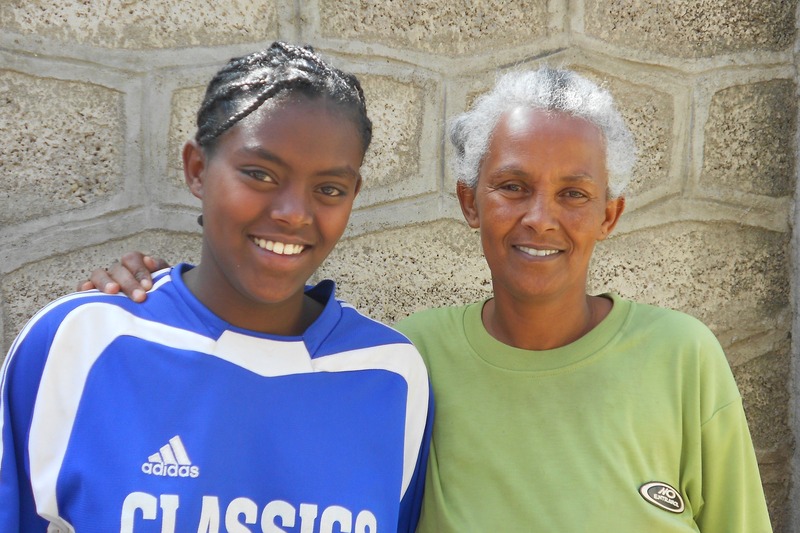 Yesunesh decided to step out in faith and take Yebsira to a specialist in Addis. Yesunesh was given some money from Blessing the Children Canada (BCC) but she still didn’t have enough. She decided to borrow money from friends and family. The medical tests were very expensive and even though the doctors still were unable to find a cause for her seizures they did change her medicine. Yebsira was given the new medicine approximately three months ago and her life has been radically changed since then. It has been three months since Yebsira has had a grand mal seizure. Yesunesh never gave up on her child or God. Even though she couldn’t afford it, she fought to find help for her child. Recently, Yebsira was down to her last pill and the family didn’t know where the next supply would come from but they never doubted God. After Yebsira took her last pill they got word that a long-term missionary in Debre Zeit had just sent Mussie (BCI’s Assistant Director) to Addis to pick up a new supply for her. Yebsira is a wonderful girl that is strong in her faith. She is a fighter. She tries her best not to let her condition affect her quality of life. When asked how much school she has missed due to her condition she said that she always goes to school. Not only does she not want to miss school but she doesn’t want her other relatives to know about her condition. Yebsira’s family are not believers in Jesus Christ and she doesn’t want them to know about her health issues because she doesn’t want them to doubt God. She is afraid that they will say “If your God heals people, why won’t He heal you?”. God may choose not to heal Yebsira but she is now able to tell her family that God is providing for her medical care when it looked impossible. 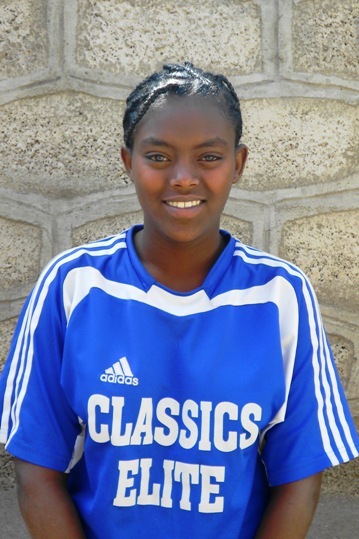 Through some generous donors, Yebsira’s medical expenses have been paid ahead for the next year. She is now able to tell her relatives that her God does the impossible. Yebsira is a determined girl that refuses to give up. She is very thankful that people have helped her and she has faith in God that he will continue to provide for her. She knows that even when the situation looks bleak, her God always shows up. Abreham Gudu & his mother. Abreham Gudu is a seven year old boy that is shy when you first meet him but once he becomes comfortable with you, you better watch out! He is full of energy and a little bit of mischief. But he is also a very loving boy that just wants to snuggle up to anyone that will put their arm around him. Abreham is very inquisitive and hasn’t been exposed to many new things in his life. When given a toy, he inspects it fully and plays with it in different ways to see how it works best. Abreham is currently the family translator. He and his family were living in a rural part of Ethiopia called the Grogan area so his grandmother does not speak Amharic (the language most spoken in Debre Zeit). Over the years, Abreham has picked up Amharic and he translates for his family as his siblings have not learned Amharic either. Abreham is in the process of learning English. When he does he will be trilingual! Abreham lives with his grandmother and four siblings. Both of his parents died when he was younger. Abreham’s mother died during childbirth while she was giving birth to his younger sister and his father died shortly after that due to unknown causes. After his parents died his grandmother thought it was best to move her grandchildren from the rural area to Debre Zeit. She thought that Debre Zeit would have more job opportunities for her because it is a larger city. Life didn’t work out exactly as she had hoped. Life has continued to be hard and she has continued to struggle to provide for the children. The family lives in an 8×10 ft one-room house that has a dirt floor. There is only a full-sized bed and one twin-sized mattress that the family shares. Abreham’s grandmother does not have a job so she struggles to find a way to provide for her five grandchildren. The children sometimes sell vegetables on the side of the road or at the open air market to make money. However, there are months when there isn’t enough money to pay rent and buy food. These are the months when Abreham’s grandmother is especially grateful for Blessing the Children. Because of Blessing the Children, the family receives monthly food support. However, the support is not enough to feed a family of six. 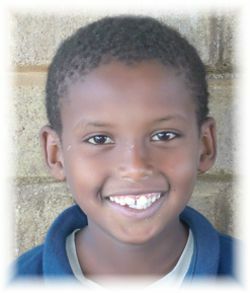 In order to increase Abreham’s food intake, sponsors must be found for him. Abreham is still in need of $60/mo to be fully sponsored. Would you please prayerfully consider sponsoring this young boy? Full sponsorship provides the child with an education, food support, and medical care. 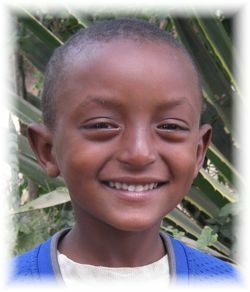 In addition to providing for Abreham’s basic needs a sponsorship will also let Abreham know that someone in the world cares for him and wants to help him grow into a strong man. Children are able to correspond monthly with their sponsors and the children love this part of the program. They love to receive letters from their sponsors and they love to learn about the sponsors’ culture. Every child in the BCI program is precious and just wants to be shown love. That is what a sponsorship teaches these children: that they are worthy and that someone is willing to take a chance on them. Meet Mesay. She is the mother of BCI child, Estifanos Tariku. Mesay has recently been blessed by God with a wheelchair, by way of a short-term missionary named Donna White from South Carolina. About eight years ago Mesay tragically discovered that the sickness she had been fighting with began hindering her ability to walk. She went to the doctor and found out that she had nerve problems in her lower back which caused her inability to walk. At the time, Estifanos was only 2 years old. In fact, she told me it was approximately one month after his 2nd birthday that she became crippled. She was kind enough to show me a picture of them behind a table decorated for his birthday. In the picture she is standing behind him as he surveys his birthday table. Even though she was now a crippled widow raising a two year old, she was lucky enough to have been living in her new home where her Christian and Orthodox neighbors helped in any way they could getting her to church or the markets or taking care of little Estifanos. Perhaps God has shown her this blessing or might one day reveal it to her: The blessing of having to move to that new house. Her father was (and probably still is) a drunk and her brother has rage. One day in particular – the day that drove her away from her home and to the city of Debre Zeit – her brother, full of anger, decided to beat up her and her mother. The only thing Mesay could do then was to cry out for help, but even that attempt at rescue was cut short when he grabbed her throat, breaking part of her neck which prevented her from screaming anymore. Mesay’s brother beat their mother so much that she was driven to a coma where she stayed for around a year. It was this reason she packed whatever possessions she had and left to Debre Zeit. She now lives in fear of her brother who lives only an hour away. She requests prayer for protection and safety in this matter. She is now living in a different home in Debre Zeit since moving here, away from the kind neighbors who helped her before. Her only helper now is a lady who comes in occasionally to help where needed and look after her when Estifanos is at school. But Mesay and Estifanos look forward to being able to get around town with the use of Mesay’s wheelchair – even if Estifanos is a little scared about the idea of pushing his mom around the busy streets. Even still, he is excited about God’s gift of the wheelchair. However, Satan never likes when God’s children are blessed or when God is praised. It has been about two weeks since she has gotten her wheelchair, but has been unable for the most part to use it due to the flu and other sicknesses that have attacked her. She hopes to be able to praise Christ’s resurrection on the day of their Easter on the compound of their church Easter program. What a praising that will be when she remembers the resurrected life of her Savior who also has given saving life and now new life that comes with her wheelchair! So please pray with us for her safety and health. 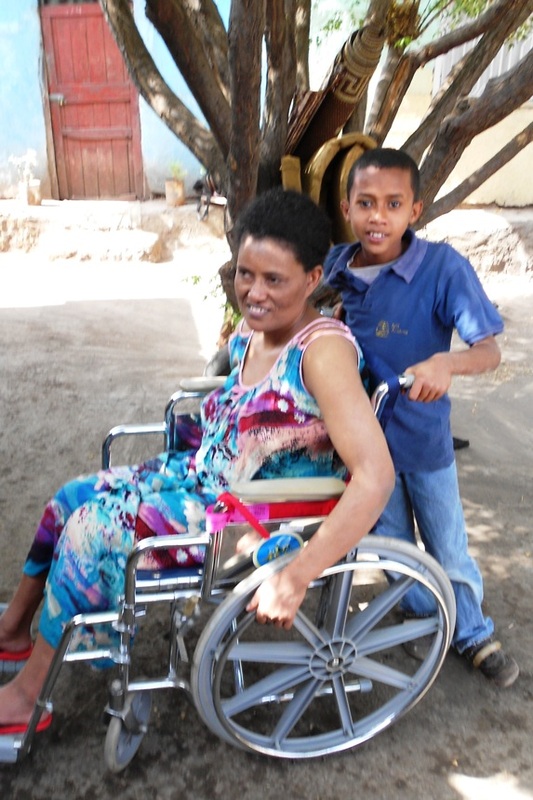 Pray also that Mesay and her son will be able to get accustomed to the new wheelchair and be able to go to church and the market without problem.